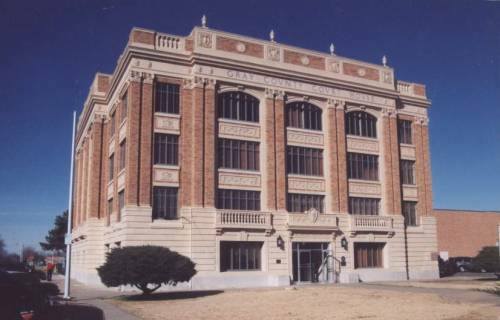 Gray County Courthouse, Pampa Texas. 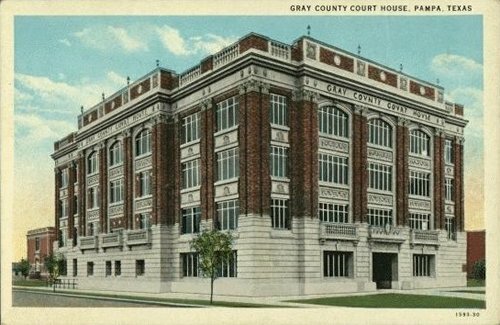 Gray County has had two courthouses. A fine example of a beaux arts courthouse with Georgian ornamentation, this structure was erected after the county seat was moved from Lefors in 1928. 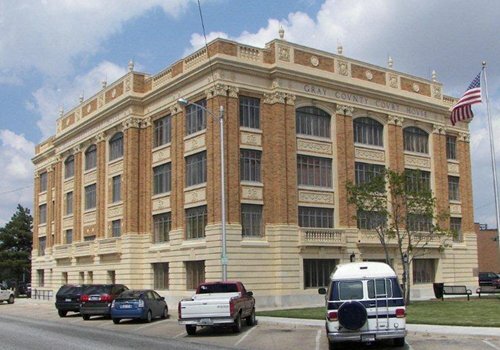 The edifice was designed by W. R. Kaufman & Son of Amarillo and built by Harland L. Case & Co. of Pampa. It was dedicated on April 19, 1930. Built upon a foundation of Indiana limestone, the steel frame and many windows give a modern look to the traditional beaux arts style. 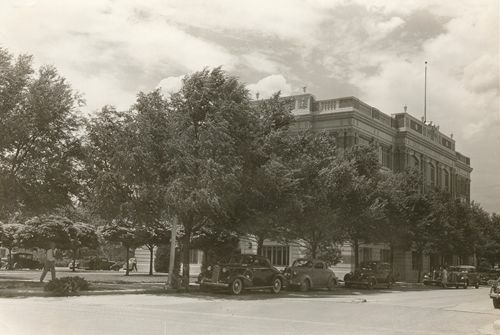 Kaufman designed Pampa's city hall and fire station in a similar style. 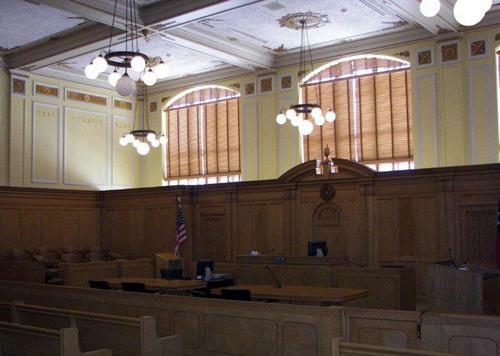 "The restored district courtroom in the Gray County courthouse. 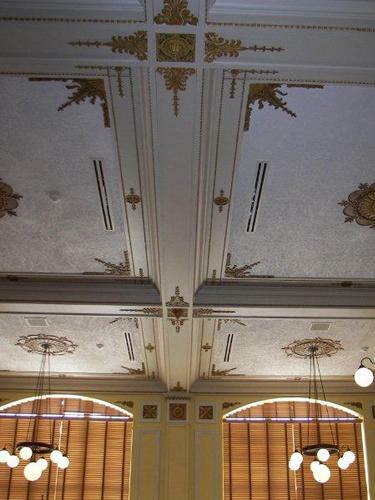 The courtroom originally had an upper balcony section and it is set to be reinstalled at a later date." 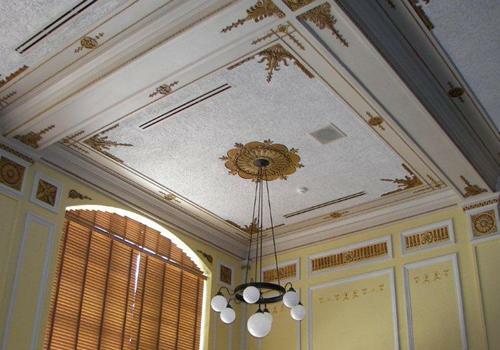 "Intricate plaster details and molding cover the ceiling of the district courtroom."